Plant-insect interaction has remained stable for more than 300 million years, a fact that correlates with these groups’ capacity to connect with their counterparts for reproduction, protection and feeding, among other things. 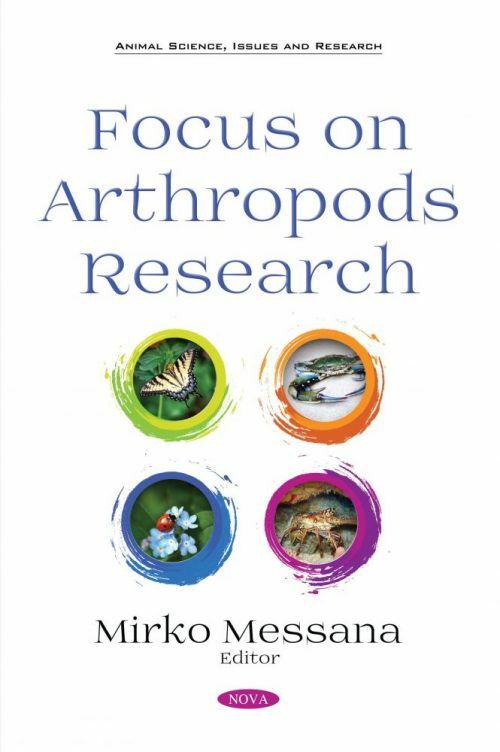 Focus on Arthropods Research opens with an analysis of the various factors that influence these communities. Some studies suggest that genetic, chemical and morphological variability of the host plants are the most influential factors. The following chapter examines whether it is possible to infer the types and durations of embryonized larval stages in higher decapod species based on equivalent free-living stages of dendrobranchiate prawns, assuming the dendrobranchiate development pattern is ancestral to that of the entire Decapoda. Stage-specific development times of dendrobranchiate crustaceans were obtained from previous studies and analyzed across species to quantify the proportions of total development spent in each stage and phase. Some arthropods, like the beetle Scaurus punctatus (Coleoptera: Tenebrionidae) are considered beneficial in terrestrial ecosystems of southern Europe due to their detritivore activity. There is little information available on their parasites and their effect on the beetles. Thus, the closing chapter provides new insight on aspects such as the epizootiology, biology and the impact of gregarines in these insects.